酸鹼值, 氧化還原值, 導電度, 總溶解固體, 鹽度, 溫度不用猜, 直接檢測! 掌上型專業輕巧設計特別適用於現場以及戶外環境水質檢測, 操作簡單, 即走即測, 省時又省力! 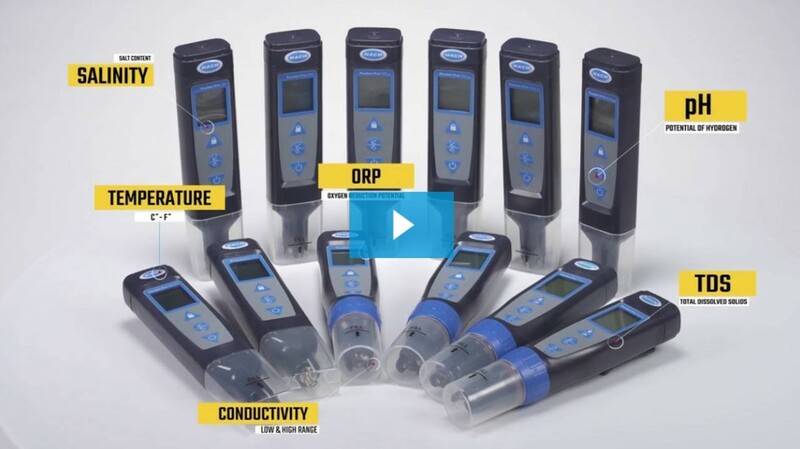 Pocket Pro and Pocket Pro+ Testers measure electrochemical parameters in a broad range of water applications. 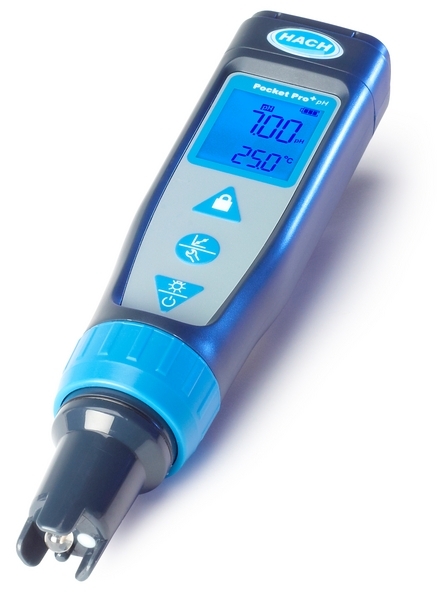 The family of 12 pocket meters offers convenient portable solutions for pH, ORP, conductivity, TDS, salinity, and temperature, delivering accurate results you can be confident in. The Hach Pocket Pro+ Testers take the value a step further with replaceable sensors, powerful backlight, and multi-parameter tester options. The handy pocket meters are also perfect in field use for testing industrial wastewater, drinking water, and food & beverage products. The Pocket Pro and Pocket Pro+ Testers are ideal for pool water testing measuring pH, ORP, Conductivity, TDS & Temperature. 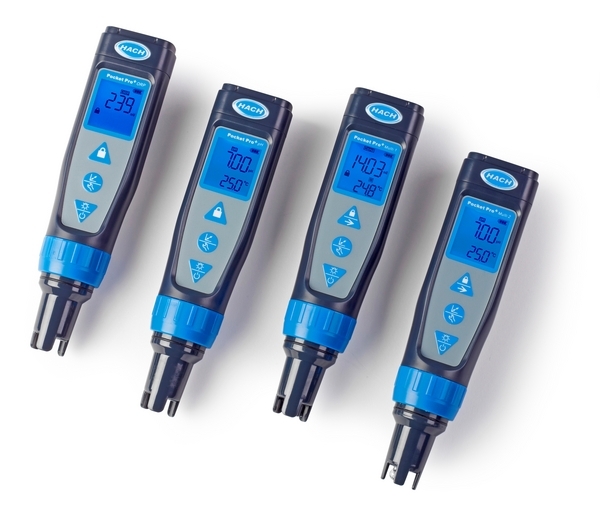 The Hach Pocket Testers are engineered to deliver accurate results, backed up with built in performance diagnostics, you never have to guess when to clean or calibrate the sensor. 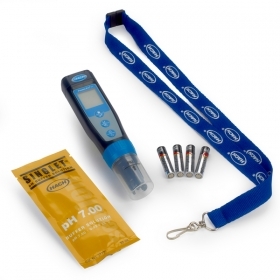 Each tester is equipped with replaceable batteries for convenient field use, and a large, easy-to-read LCD screen. 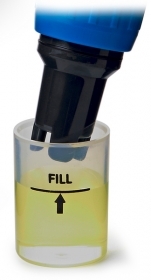 Easy calibration steps take the guesswork out of calibrating the sensor to keep it in optimum condition. The large LCD screen is easy to read; backlighting is included on Pocket Pro⁺ models, allowing measurement in almost any lighting environment.